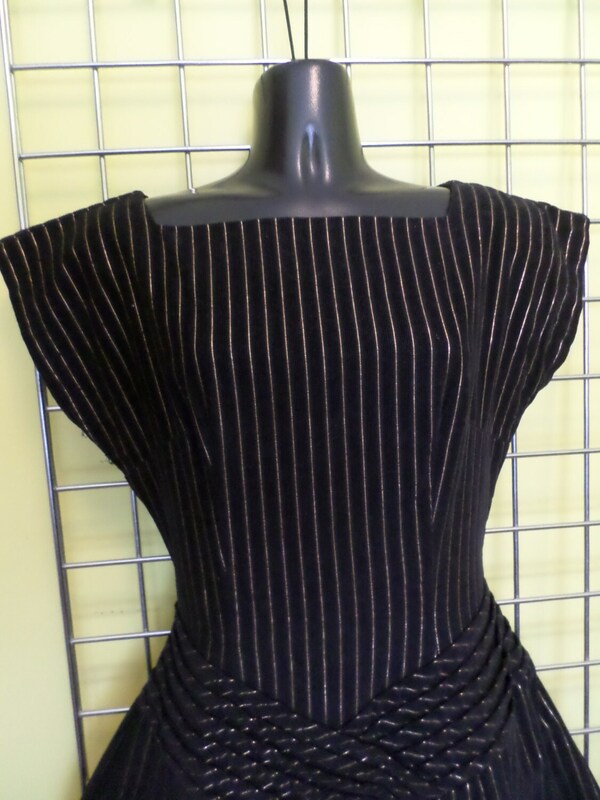 Beautiful well made vintage 50's dress in black corduroy with gold pin stripes. 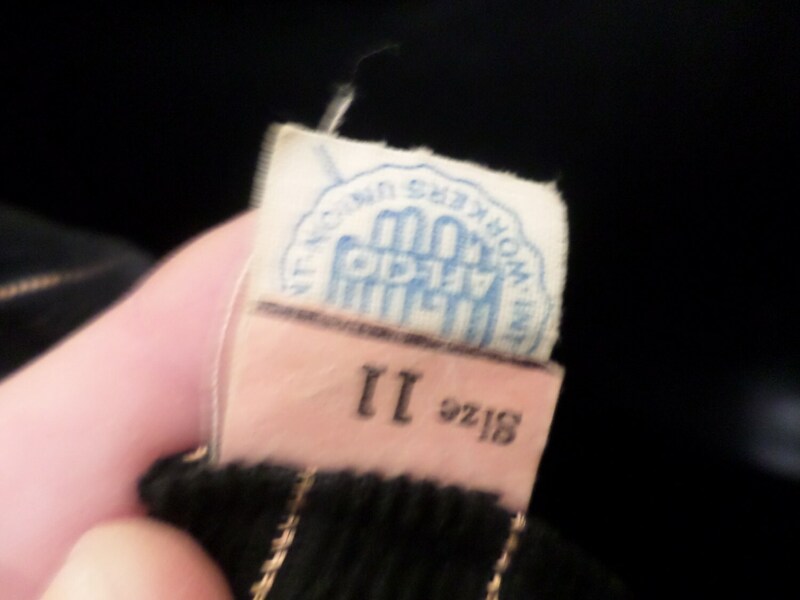 label is union made in the USA it says size 11. buy todays standards it is about a6 or 8 it measures: 36" bust, 26" waist, 38" hips then the dress goes into a lot of pleats so give or take. 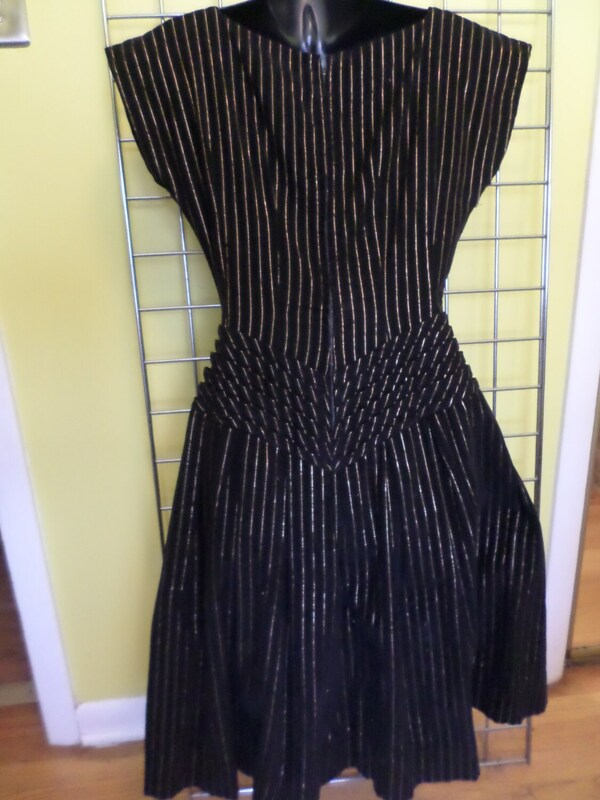 It is 39.5" from top of shoulder to bottom of dress. please take measurements into size consideration. 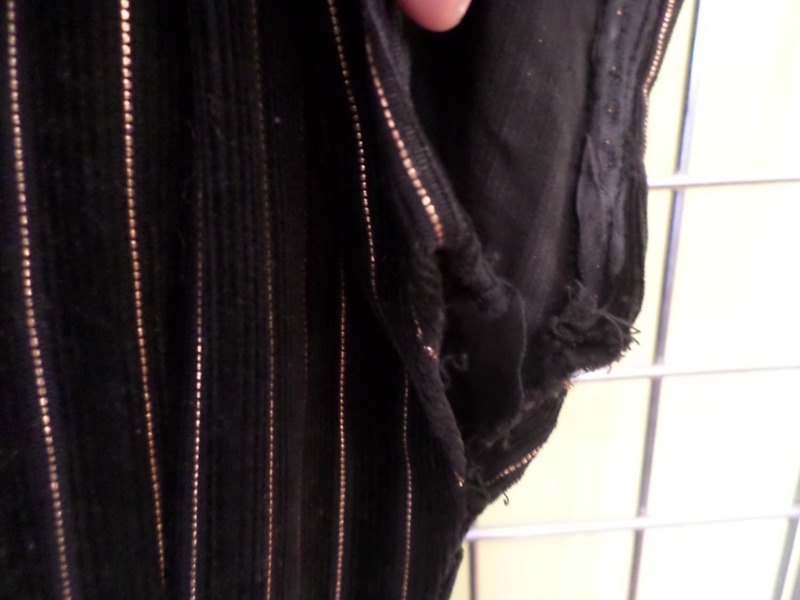 its in really clean and wonderful condition except it may needs a stich or two under the arm, see photo. 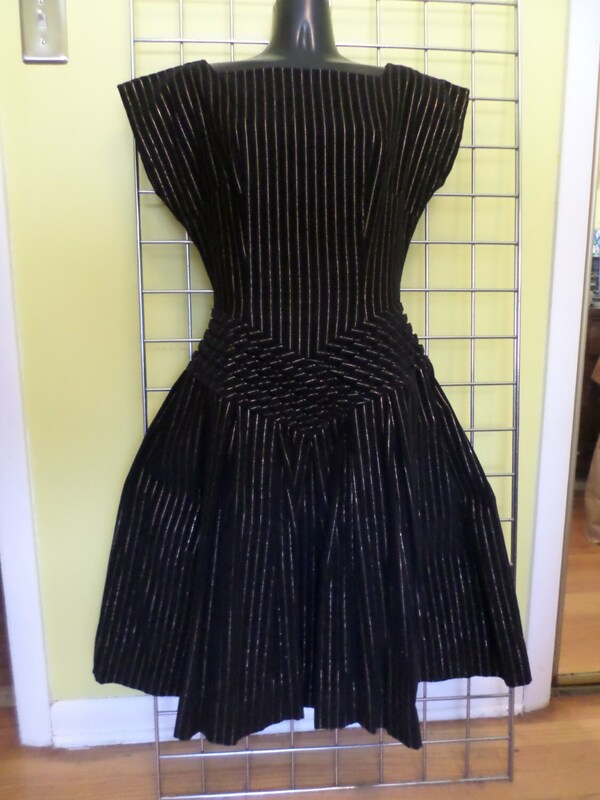 super cute pleats and details!